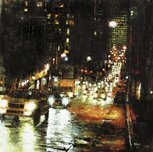 The fast-paced pulse of urban life is the recurring theme in many of Mark Lague's paintings. Lague's canvases capture the overall spirit of the city in loose, dynamic brushstrokes. 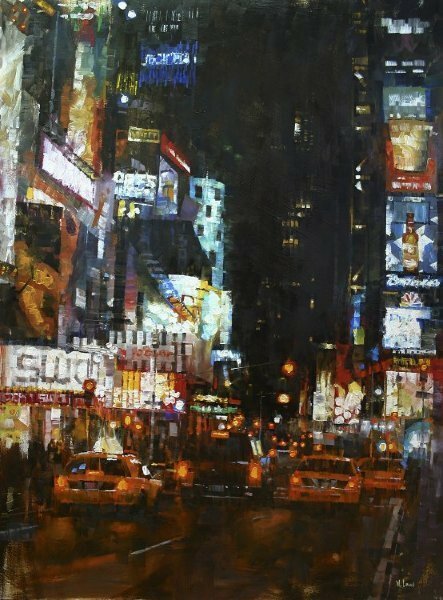 Lague's travels take him to many of the world's most sophisticated cities where Mark Lague thrives on the hustle and bustle of life that teems daily in the streets. Mark Lague travels to many of his favorite locations such as New York, San Francisco, Los Angeles, London, and Paris for inspiration. One of Mark Lague's favorite cosmopolitan cities is Rome, Italy. Lague says, "Rome seems to fit my aesthetic well because there is such a mix between modern life and classical architecture." This very talented painter considers the shapes that make up the city environment a beautiful, yet abstract, composition just waiting to be put on canvas. Remember there is NO SALES TAX when you purchase outside of Colorado. We also offer deals on domestic and international shipping through UPS/FedEx. Don't forget to ask about our Collector's Financing Program through Wells Fargo to make payments stress free.